Why not treat someone special to some Bean and Leaf gift vouchers? These vouchers are beautifully packaged and the perfect way to treat a family member or friend for any occasion. A thoughtful gift for anyone. 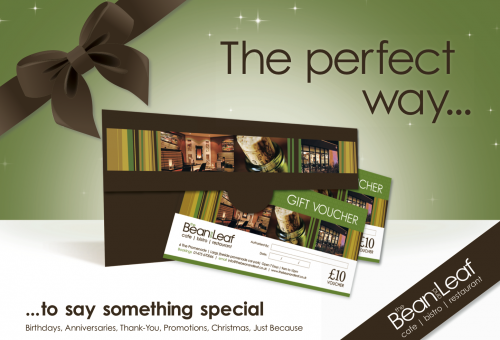 The vouchers are available in denominations of £10 and can be purchased by telephone and sent directly to your home.